Big thanks again to Mom for kicking us off, and I’m finally ready to contribute with three little gifts for Naomi’s three favorite wee cousins. My mission? 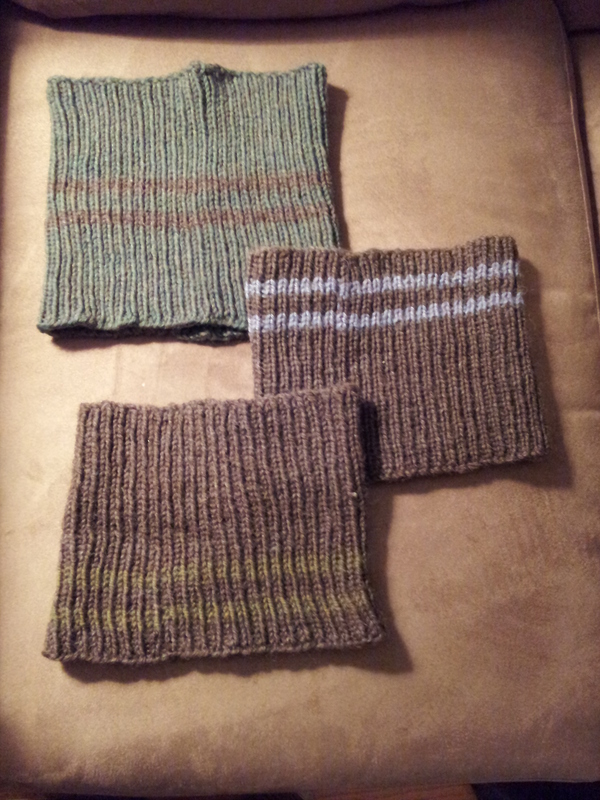 Create tasteful gifts for three small boys out of the yarn in my leftovers pile. Thankfully, my sister-in-law shares my affection for, in her words, “dirt, stick, and leaf colors”, so this wasn’t that hard. The brown is Fisherman’s Wool (Lion Brand), the green is Cascade 220 (Cascade Yarns), the yellow-er green is Patons Wool Classic (Patons), and the blue is Ultra Alpaca (Berroco). Yay for leftovers! I tried something a little different with these; since they were all-animal fibers, I lanolized them with my last occasion washing soakers. The logic is that the extra lanolin might help them stay warm and clean-ish despite the extra flood of snot and spit that ends up all over a cowl, even when worn by an adult. Emily will have to report back if it made any difference. I’m not going to show you much more than this today, because each is part of a set that you’ll see the rest of in two days’ time. But I will give you one twin in his cozy little neckwarmer. 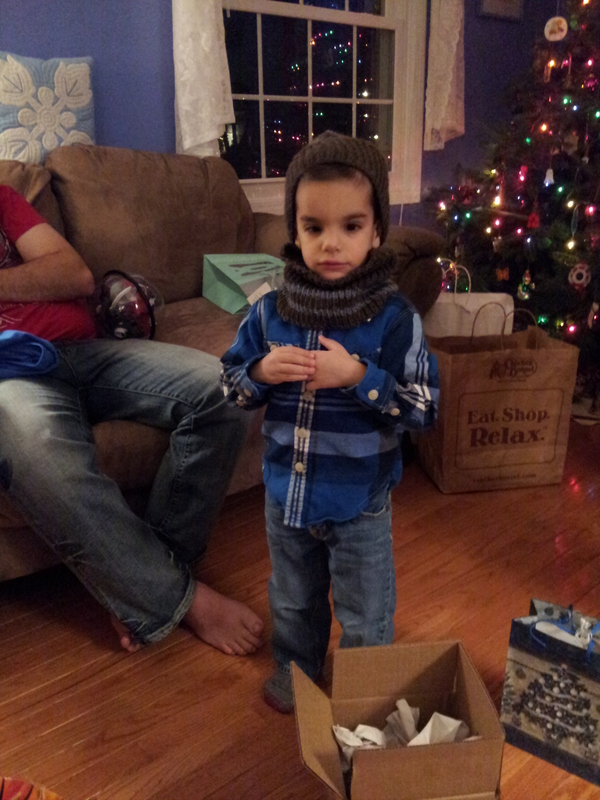 He didn’t take it off all evening, until his parents noticed him visibly sweating. It warms an auntie’s heart, and motivates her to keep knitting!